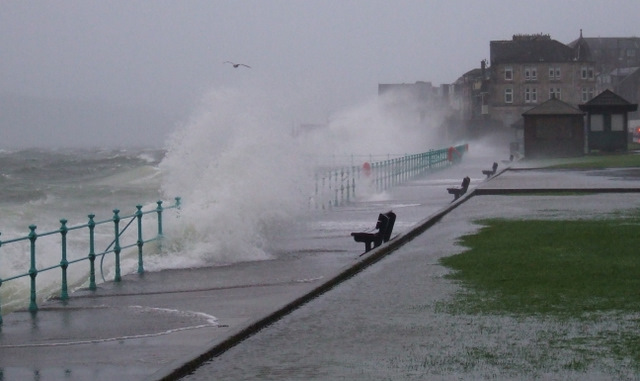 The Burns' Day Storm was one of the most severe storms to hit North West Europe, impacting the United Kingdom in particular. The storm occurred on January 25-26 1990 and was given its name because it occurred on the birthday of the famous Scottish Poet Robert Burns. Winds reached speeds in excess of 100mph and over 3 million trees fell down. 97 people lost their lives and the economic costs were estimated at £3.37 billion of damage in the United Kingdom. For insurance companies it is known as the most expensive weather event ever! Scientists debate about whether the storm was in part a consequence of the Greenhouse effect.